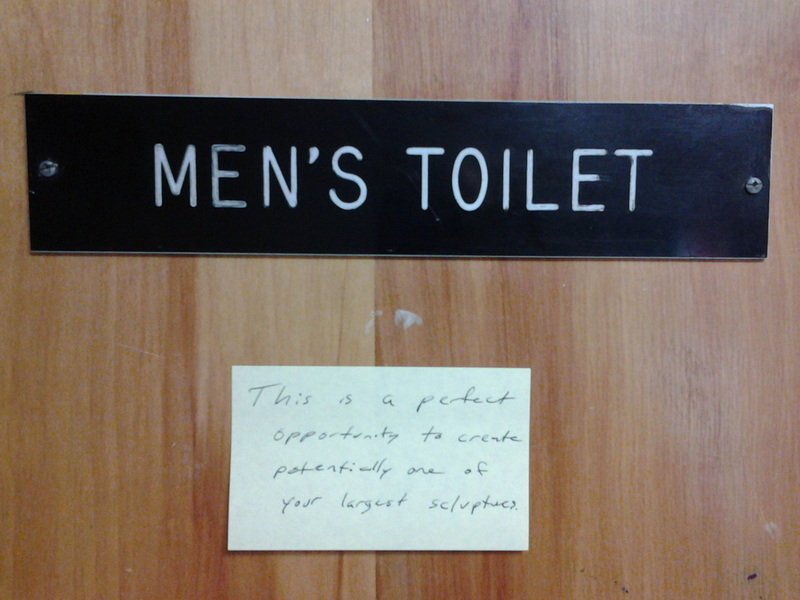 Installed at University of Maryland, Art/Sociology Building, 3rd floor Men's Toilet, October 3, 2014. In place through at least October 5, 2014. *Intended as commentary on approach to art in linked video, not on the art itself.